Do you know how to write in cursive? If so, who taught you this skill? When you write with a pen or pencil, do you print, write in cursive or alternate between the two? Do you have a signature that you use when you sign forms or other documents? If you don’t write in cursive, is this a skill you wish you had? Why or why not? 1. What role do the Common Core standards seem to have had in the demise in students’ learning to write in cursive? How many states have reintroduced the practice in the recent years? 2. The writer says that these efforts have reignited “a debate about American values and identity” and have exposed “intergenerational fault lines.” How are these ideas developed in the article? 3. What are some of the reasons offered for why some people believe American students should learn cursive? 4. How was writing in cursive once pitched as an act of patriotism? 5. What does research suggest may be the psychological and neurological benefits of handwriting? What do detractors say about those findings? Why? 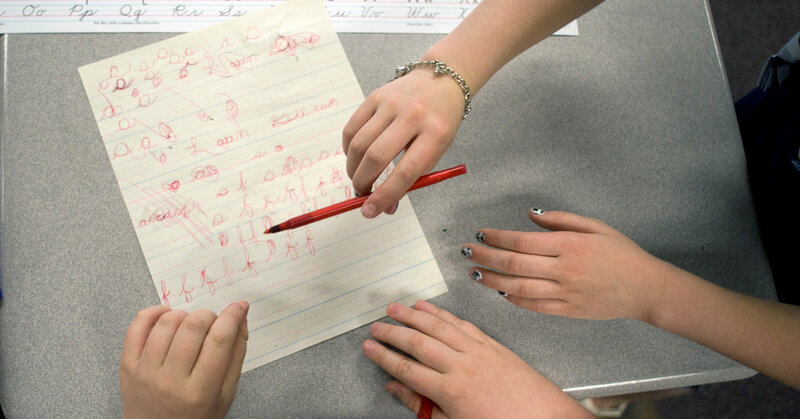 How important do you think it is that students be taught to write in cursive? What priority, if any, should it take? What do you think of the skills Ms. Mapes suggested? Are they important? Place those skills — as well as any others you want to see added to elementary school curriculums — in order of importance. Add cursive writing where you think it belongs, if you would add it at all.